Today marks the first load-in day for the 3rd annual, 2018 #BCTech Summit at the Vancouver Convention Centre. Over 9,000 attendees will gather over the course of 3 days this week to hear from global business leaders who are successfully navigating the uncharted terrain of the digital age. 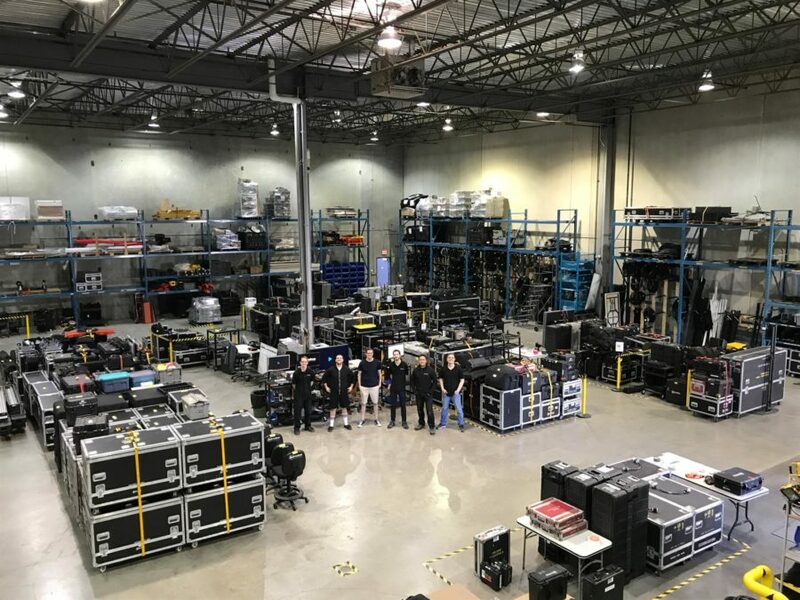 Our fantastic warehouse technicians have been working hard to prep the huge equipment package required to produce this world-class event – in all 4 tractor trailers worth of audio, video and lighting gear will be set up and operated by the Proshow team before the event begins on Tuesday.